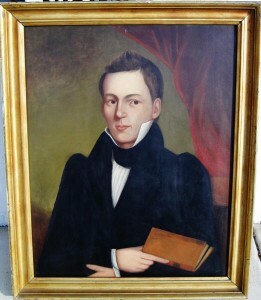 Description: Unsigned original oil portrait. Circa 1830. 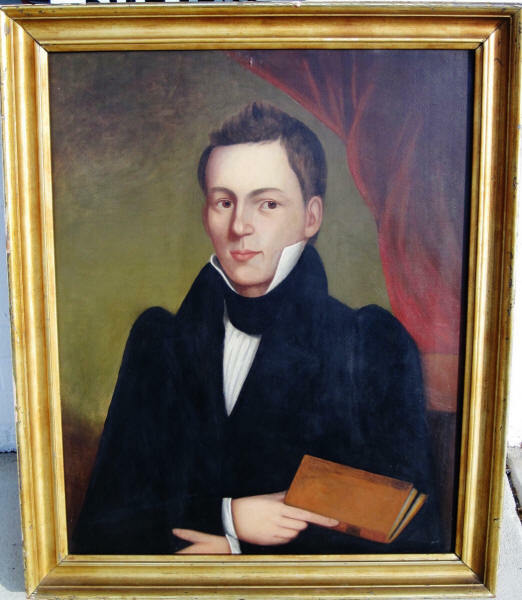 This oil on board is likely by an itinerant American artist and shows no notable damage.